Star Trek Online is well into its sixth year and showing no signs of stopping. Over our storied history we’ve seen a new faction, two level cap increases, more episodes than any 5 seasons of any Star Trek series, the creation of over 100,000 player generated missions, and celebrity voice work from every era of Star Trek. With all of those accomplishments there is still another frontier yet to explore, the console space. This fall, Star Trek Online will be launching simultaneously on Xbox One and PlayStation 4 consoles. Our goal is to deliver the same high quality Star Trek experience to players on these consoles, with some additional upgrades to make the transition to the console space a smooth and natural experience. Our first major task was to convert a PC game that takes nearly an entire keyboard to play into a game that plays well with a 12 button controller. We focused on getting the controls right before we began work in earnest on this project, because we knew the game had to be as tactical, fun, and accessible as the PC game that preceded it. A combination of radial menus and streamlining of some HUD elements created a game that is easily understood, instantly accessible, and incredibly fun to play. Next up, we invested heavily in our engine and added several modern lighting technologies that significantly improved the visual quality of the game. Deferred lighting, light probes, and improvements to our High Dynamic Range lighting system combine to provide more realistic lighting that feels like a true refresh to the game. These technologies, and the skilled artists that bring them to bear, create an experience that is not only more immersive, but simply put, more beautiful. To the community that has been with us for over half a decade, I want you to know that these lighting improvements will be coming to the PC version of the game later this year as well. Alongside the lighting system, we decided the entire UI needed not only a complete graphical overhaul but to have its entire back-end rewritten. The goal here was to create a UI that was incredibly streamlined on the back-end to ensure the best game performance possible, while also creating a brand new experience purposely built for the controller. We’re really proud of how this looks and how well it performs, and I’m excited for everyone to see it in action. In addition to all of these exciting changes, we’ve also made some improvements to episodic flow and player progression that will really improve the experience for everyone. 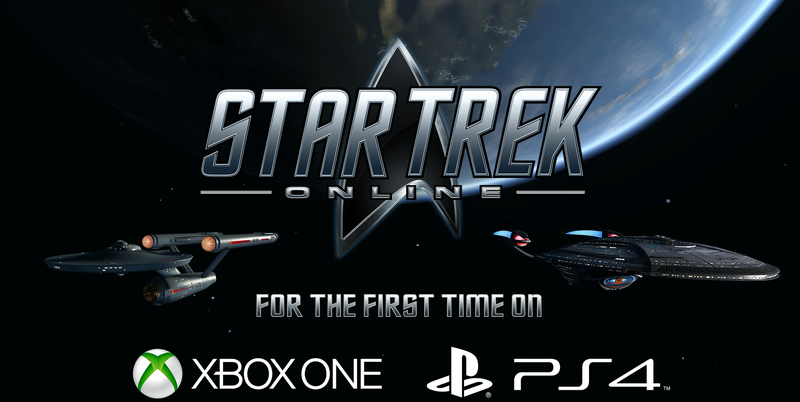 As a lifelong console player, I couldn’t be more excited to bring Star Trek Online onto the consoles. Keep your hailing frequencies open for regular blogs giving you deeper insight into all of the features I’ve mentioned here and much, much more!